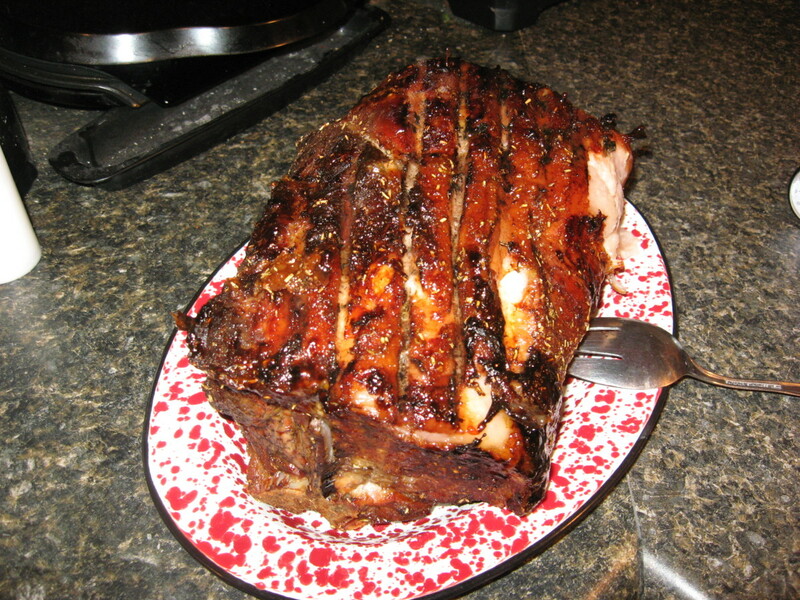 I cooked a pork loin roast Saturday night. Actually, hubby did the cooking, but I did all the prep work. 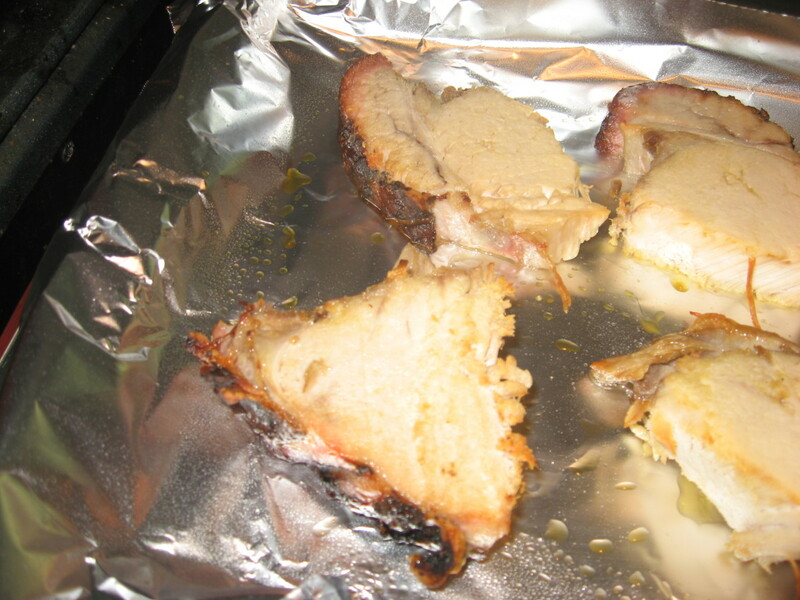 This was a bone-in pork loin roast, which is my favorite type of pork loin. In the opinion of my taste buds, it has more flavor than a tenderloin has. Of course, it’s also a lot bigger, so it will feed more people. 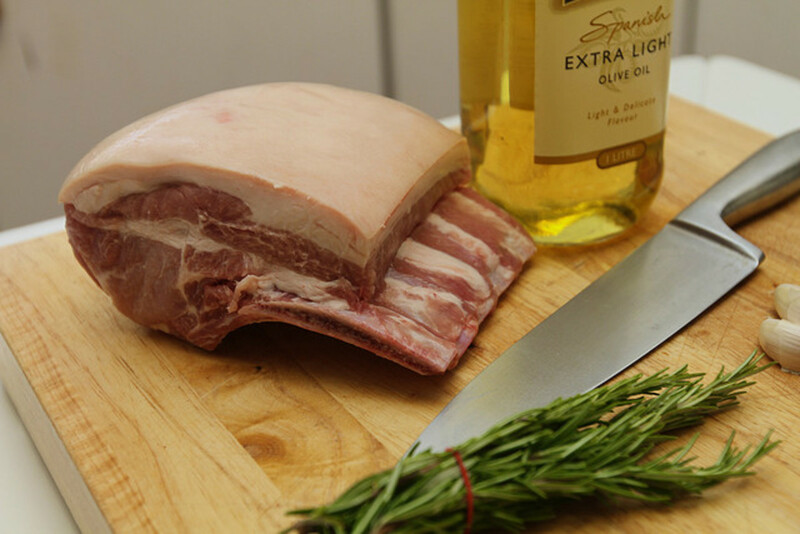 Such a pork loin roast provides three different cuts, all in the same piece of meat. 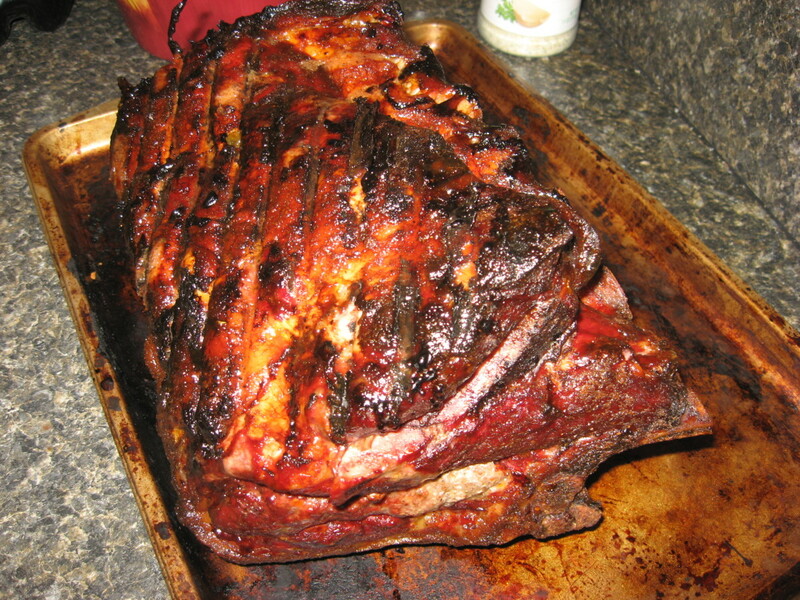 It’s like a roast, chops, and baby back ribs all rolled deliciously into one hunk of meat. 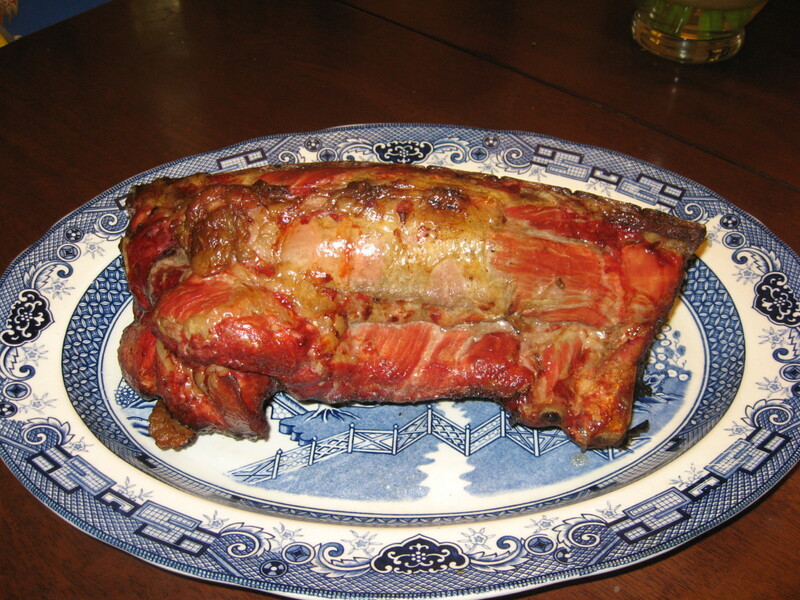 I love the ribs that are attached to a bone-in pork loin roast! That’s actually my favorite part. This works out well for us because the old man doesn’t care much for pork ribs, so he can eat the meatier parts of the roast. This was a hefty roast, weighing in at around seven pounds, so we had a lot of leftovers. I had some good leftover recipes, but I wanted to try something new. My youngest daughter and her family had invited themselves to dinner, and I wanted to “wow” them without going to a lot of trouble. Keep reading to find out how I deliciously prepared the leftovers! For the initial pork loin recipe, I made a wet rub with prepared mustard, salt, brown sugar, cayenne, black pepper, onion powder, garlic powder, cinnamon, and just a little bit of ground cloves. I packed the paste all over the loin, wrapped it up tightly, and let it rest in the refrigerator all day. That evening, hubby got the smoker going. He filled the water pan with apple juice and placed some wet pecan wood on the burner for a wonderful smoke flavor. The pork loin cooked low and slow on our electric smoker all night. We checked the internal temperature at around noon, and the thermometer read 155 degrees, which was perfect. 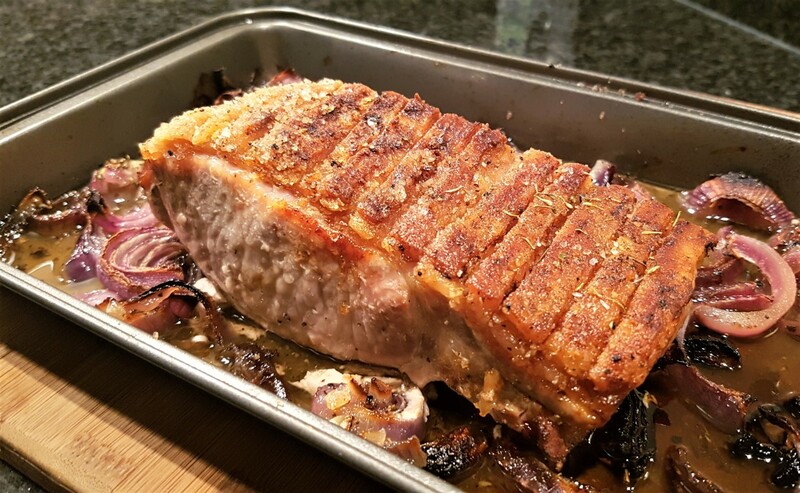 The safe temperature for pork was 165 degrees for years, but the USDA changed that to 145 degrees for several cuts, including that for pork loin roast. Still, I prefer to cook my pork loin to a slightly higher temperature. If we take the roast off the smoker when it reaches 155 degrees and wrap it in foil and let it rest at room temperature for a few minutes, the meat is perfect for us. It’s moist, tender, and very flavorful. Yesterday, we had leftover pork loin, which is somewhat of a rarity at our house. When hubby fires up the smoker, the kids usually come running. Two of our daughters and their families live in our neighborhood, and I think the delicious aromas from the smoker must drift over to their houses, ringing the dinner bell. Maybe since it was Mother’s Day, they didn’t want to intrude as uninvited guests. Whatever the reason, I was going to have to think up some uses for these leftovers. 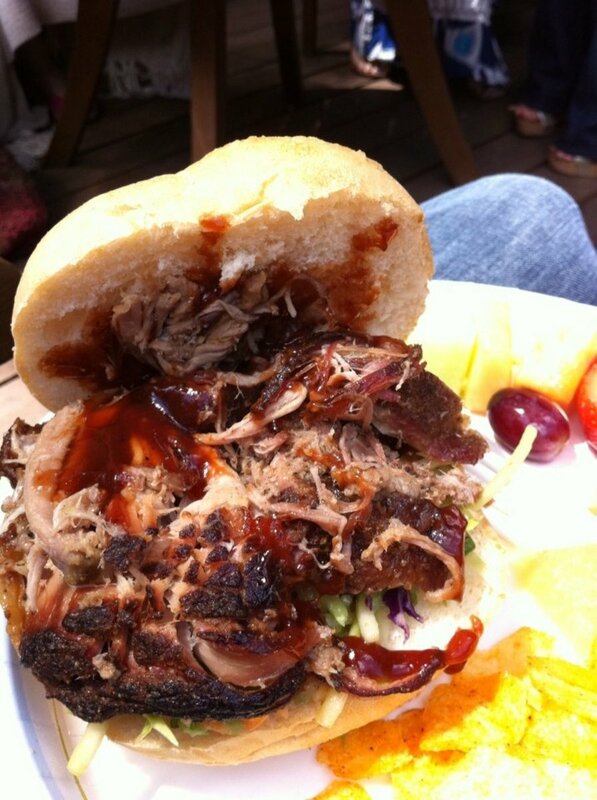 One of the easiest recipes is to shred or chop the meat and combine it with BBQ sauce for pulled pork. 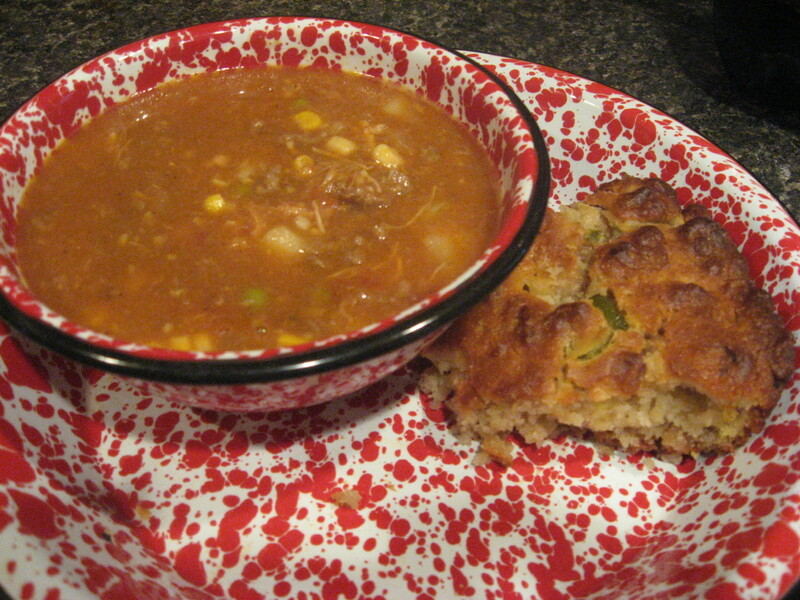 You can eat the pulled pork as is, make it into pulled pork sandwiches, or use it in Brunswick stew. If barbecue or stew doesn’t sound good, you can slice the pork into strips and add it to quick stir-fries. Sauté veggies in a little olive oil, and add the pork last. Since it’s already cooked, it just needs to be reheated and browned around the edges. 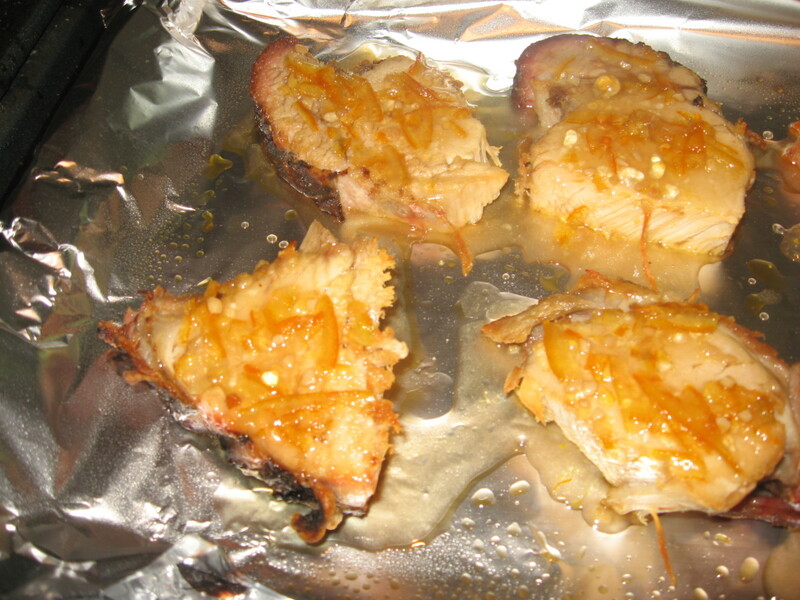 For such leftover pork loin recipes, I often use onions, bell peppers, yellow squash, and broccoli florets, and for seasonings, I use garlic, ginger, and soy sauce. 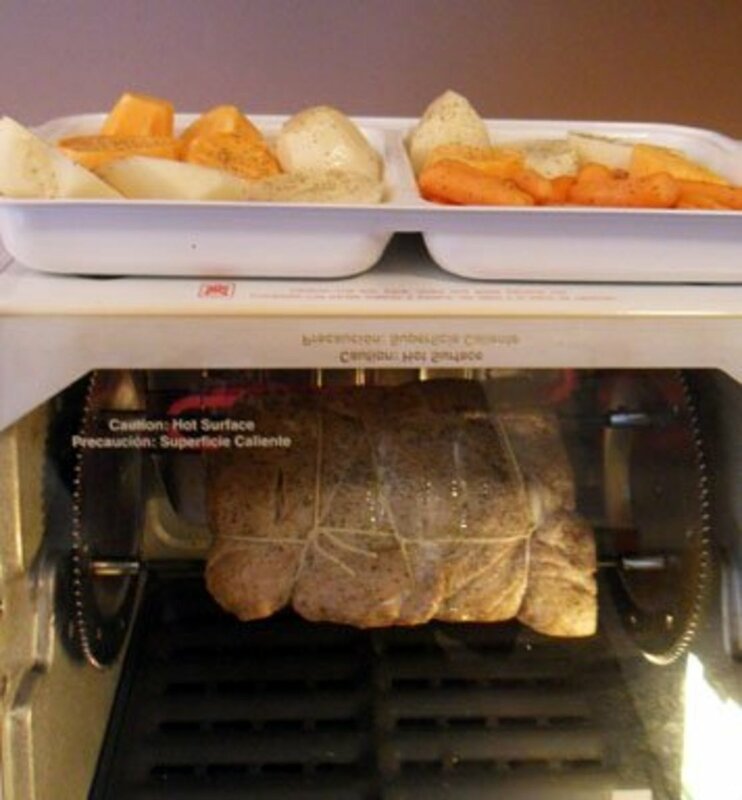 Here’s another idea: Cut the roast into slices, about ½ to ¾-inch thick. Cut across the grain, creating individual chops. Drizzle a little oil in a large skillet and brown the meat on both sides, over medium-high heat. Remove the pork from the pan and add a cup of water, a can of cream of mushroom soup, a tablespoon of Worcestershire sauce, and salt and pepper. Simmer the gravy to desired thickness and return the meat to the pan with the gravy to reheat. 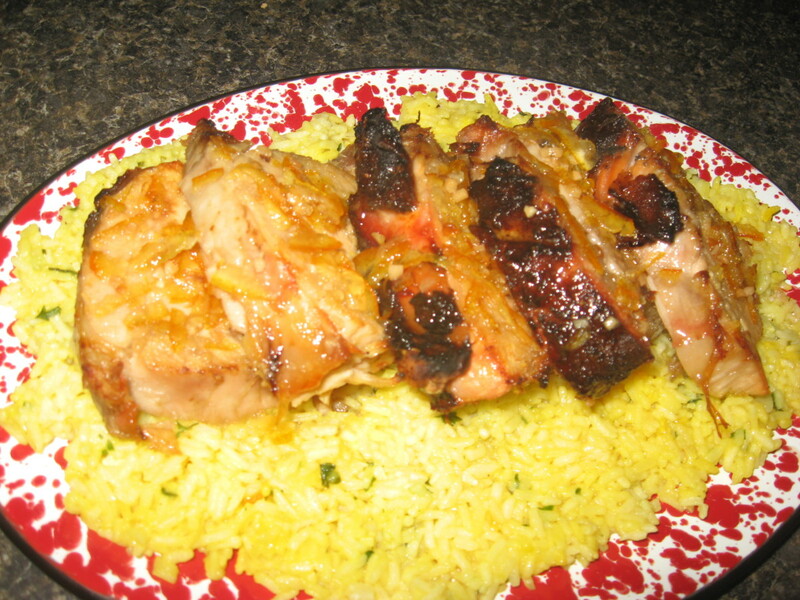 Serve over rice or with mashed potatoes. This recipe is quick and easy to make, and it’s really delicious! It’s good enough to serve guests, and they’ll never have to know you made the dish with leftover pork loin. 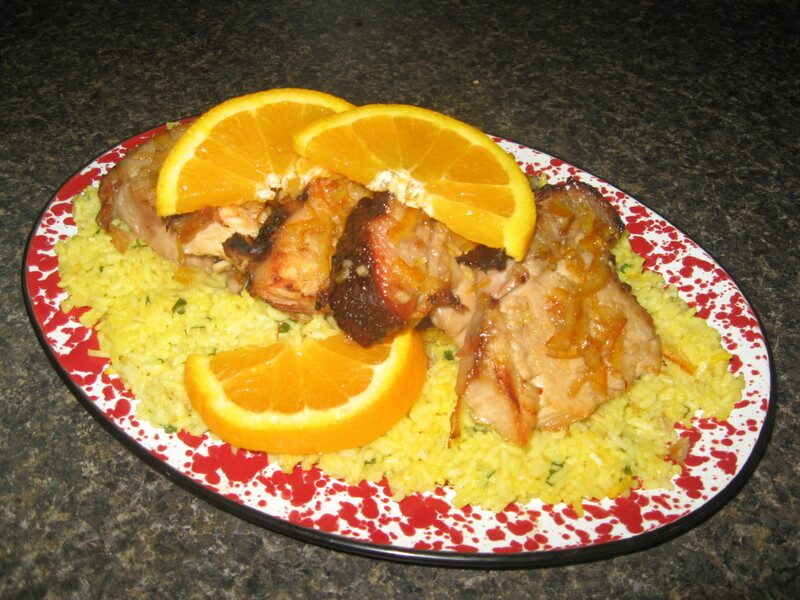 To make this especially attractive, arrange the sliced pork over a bed of yellow rice and garnish with orange slices. Rate my pork loin recipe! Preheat oven to broil. Place oven rack as close to broiler unit as possible. Line a shallow metal baking pan with foil and spray foil with cooking spray. 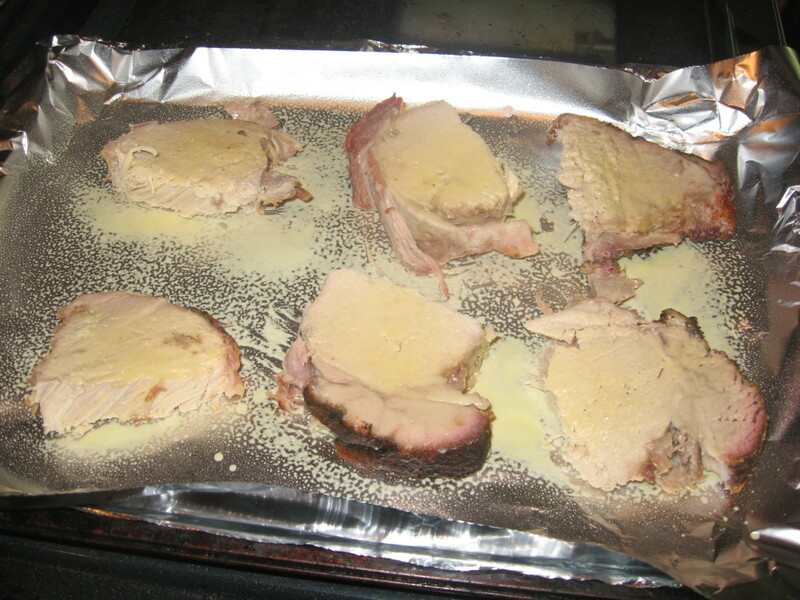 Arrange pork slices on foil and spray the top side of the meat with cooking spray. Broil until meat is brown, about three minutes. 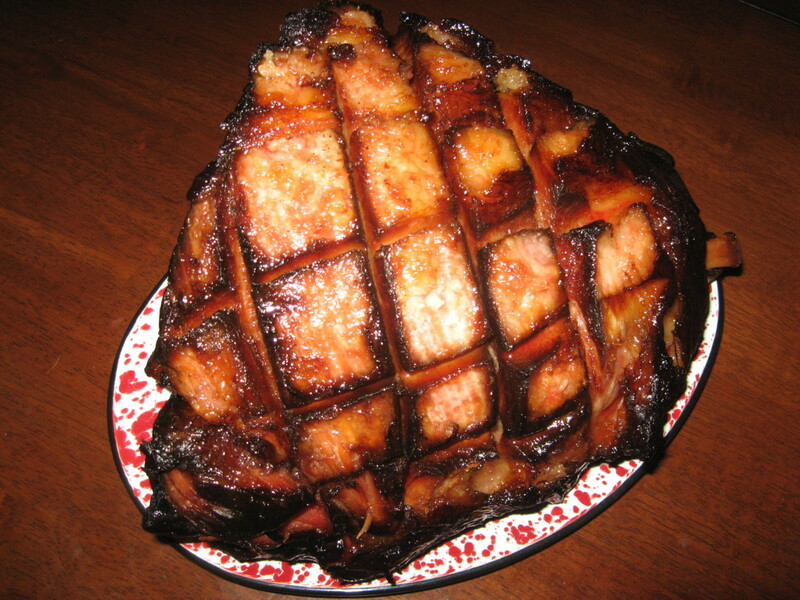 While pork is browning, combine remaining ingredients and cook in microwave until soft and liquid, about one minute. Stir. Remove browned meat from oven and brush with sauce. Return to oven and broil for one or two minutes. Remove and arrange pork on platter. Drizzle with remaining sauce. 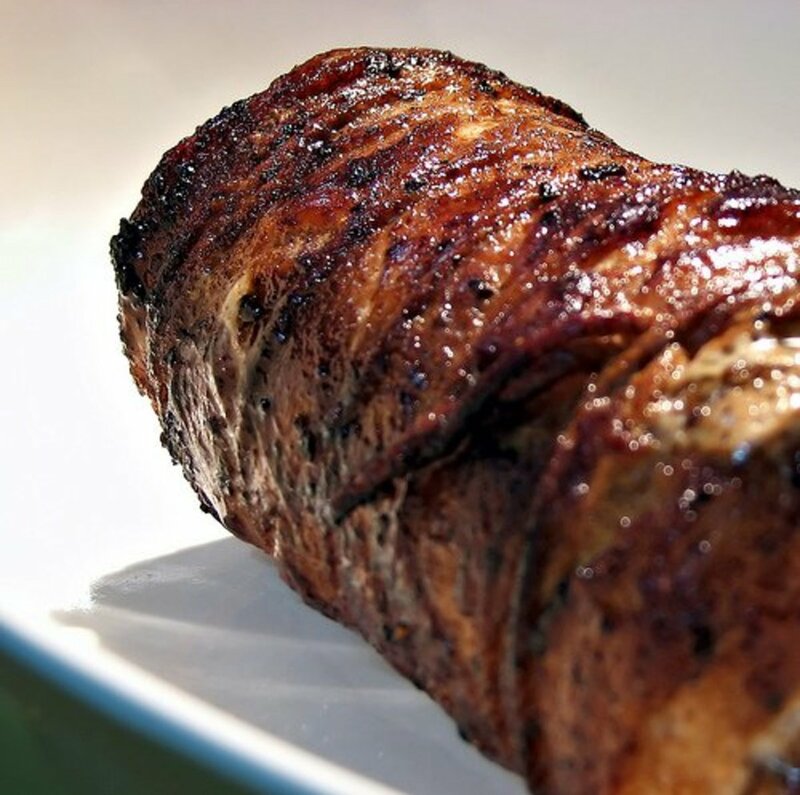 Pork loin roast is awesome prepared this way! And since the meat is already cooked, recreating it is easy to do, and it changes the overall taste considerably. This leftover pork loin is great with just about any type of rice. 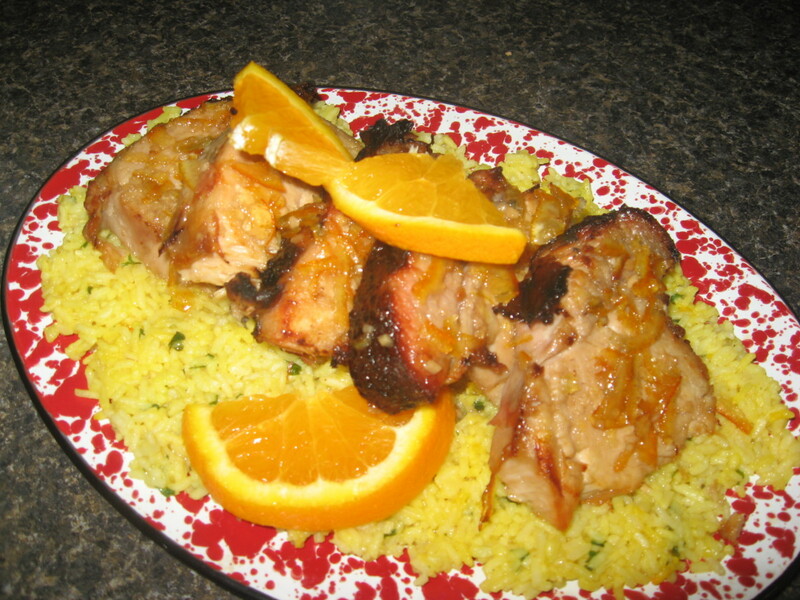 I especially like to use yellow rice or curried rice here, and I like to spoon some of the orange sauce over the rice once I make my plate. In fact, I sometimes make extra sauce especially for this purpose. Adding a little parsley to the rice will provide some color and a little extra flavor, by the way. Of course, the pork loin roast also goes well with mashed potatoes or sweet potatoes and practically any vegetable. Voted up. The other white meat looks very tasty. I have 1/2 a pork loin roast leftover from last night and I was looking for something new to try with the leftovers tonight for dinner. You're recipe will be on my table tonight. Thanks! 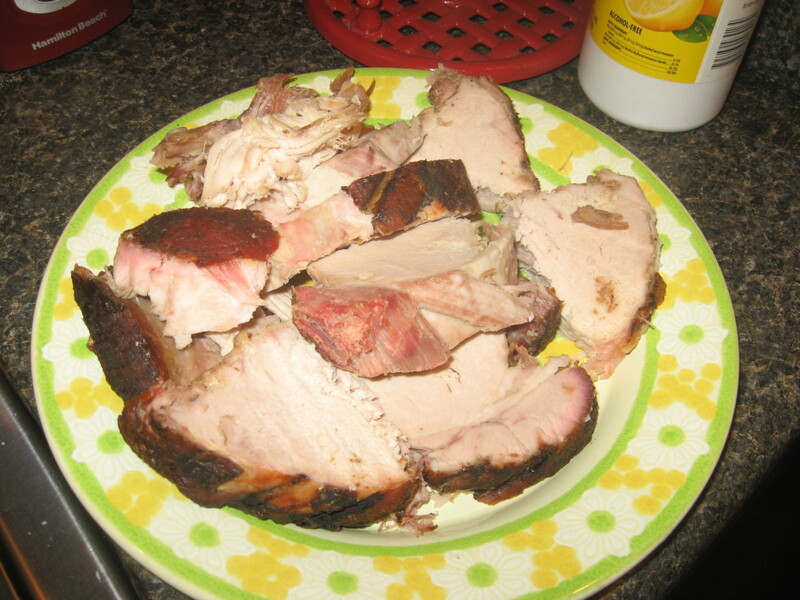 A pork loin roast is my favorite cut of pork, too, Holle, but I seldom have leftovers - it all gets eaten the first time it's served. From now on, I will buy a larger roast so it will last longer. Promise. 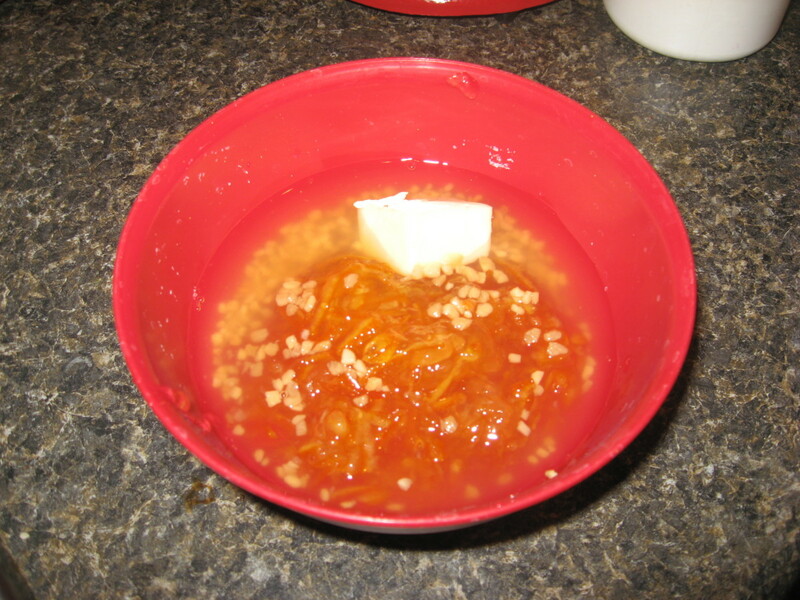 The orange sauce looks delicious! What a simple option for pork leftovers. Thanks for the great recipes as always.